Pursuant to O.R.C. 5540.02, the board members of the proposed Athens County Transportation Improvement District will hold a scheduled meeting for the purposes of discussing administrative matters, reviewing the annual grant application process, and discussing future projects.  The meeting will take place on Tuesday, May 5th at 1pm at the Athens County Engineer’s Office, 16000 Canaanville Road, Athens, Ohio 45701.